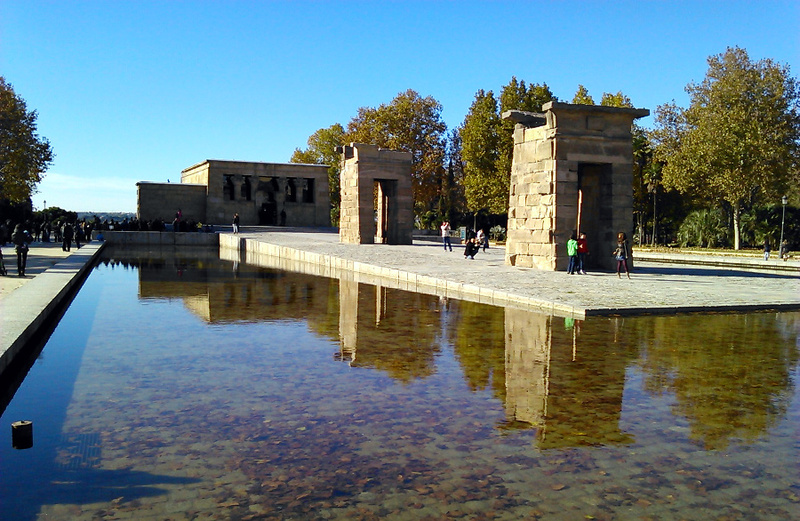 The Debod Temple (Templo de Debod) is an old Egyptian temple which nowadays is located in Parque del Oeste of Madrid. Although the temple was once in Egypt, it was disassembled in 1960 and translated to Spain ten years later to avoid its inundation because of the construction of a dam in Egypt. To arrive at Debod Temple, take the metro Line 3 to Plaza España. The temple is four minutes on foot from Plaza España. The origins of the temple date from 2200 years ago when in the second century Before Christ, Pharaoh Ptolemy IV built it. Its original location was in the old Debod Town in the bank of the Nile River, in the south of Egypt. The temple was dedicated to the goddess Isis and also to Amun. In 1961 Egypt started the construction of the Aswam Dam, so many temples placed in the area that would be affected by the flooding were disassembled and transported to other new locations. Then, four temples were translated to other countries which collaborated with its preservation: Dendur to United States, Ellesiya to Italy, Taffa to Holland and Debod to Spain. People can visit the temple every day for free. 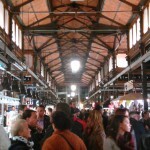 Its doors are open from 10:00 to 14:00, and from 16:00 to 18:00. The building has two levels. On the first level there are Egyptian statues and paintings which gives us a vision of how was the temple in the ancient times. Moreover, on the second floor there is a small museum with information about the original location of the temple and its history. The Debod Temple is placed in a strategic zone of the park. Just behind the temple there is a balcony from which it can be seen a nice panoramic of the north-west of Madrid. 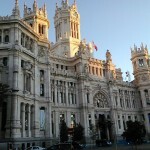 Also, from there you can take photos of the Royal Palace and Almudena Cathedral. This view point is very popular because its views at sunset. 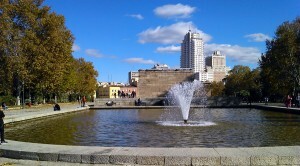 For that, this part of the park is one of the most romantic sites of Madrid. 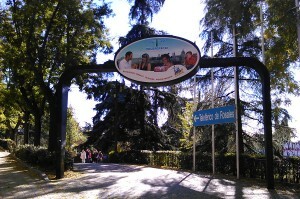 Another interesting thing to do in Parque del Oeste is to go to the cable-way (Teleférico de Rosales). You can use it to go to another view point placed in Casa de Campo, from which you will see the whole city. 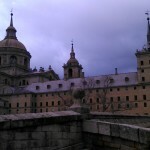 – Catedral de La Almudena (Almudena’s Cathedral): This is the main cathedral of Madrid. It is placed in front of Palacio Real. 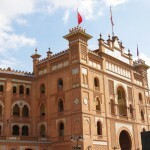 – Plaza de España: There you can find the first skyscrapers built in Spain, and a beautiful fountain in the middle of the square with a statue of Don Quijote and Sancho Panza.